Imperforate, colored machine-made paper, no watermark, lithography. Printed by Francesco Matraire of Turin. The first issue was valid until September 30, 1853. 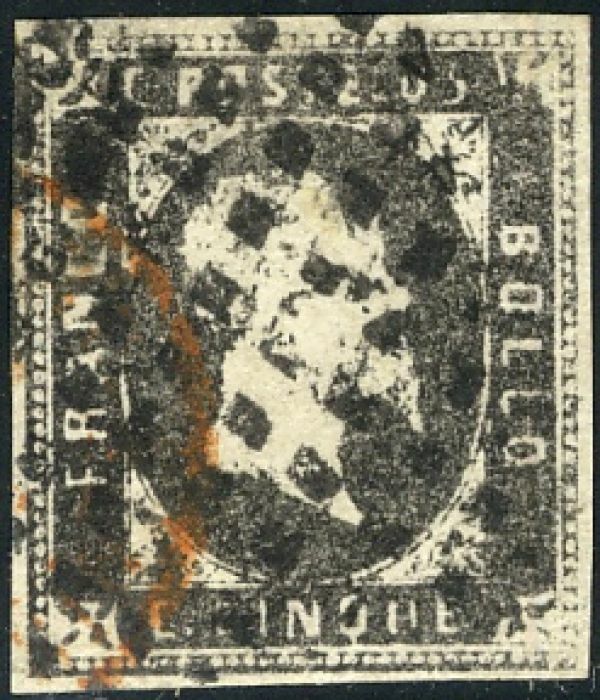 Sardinian stamps were used by other Italian states between the time they joined the unified Italy and February 24, 1862, when the first stamps of Italy were issued. Obviously you'd want to visit Regno di Sardegna if you want to know more about Sardinian stamps. It is in Italian.